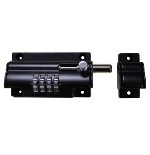 Lockey Keyless Mechanical Digital Door Lock Oversized Door Knob OSK-20 fits over existing round knob, on the Lockey Digital 2000 Series Locks for an easier grip. 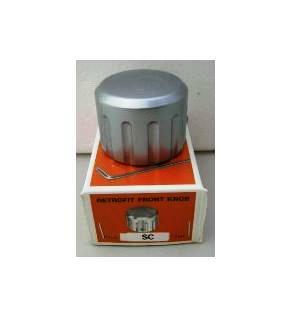 This knob is 1 3/4" in diameter and 1 1/4" deep. 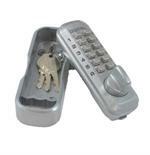 Before purchasing, find your lock on our website and see if this is a Related Product. For the Key Override locks, you can use this knob on the inside only.